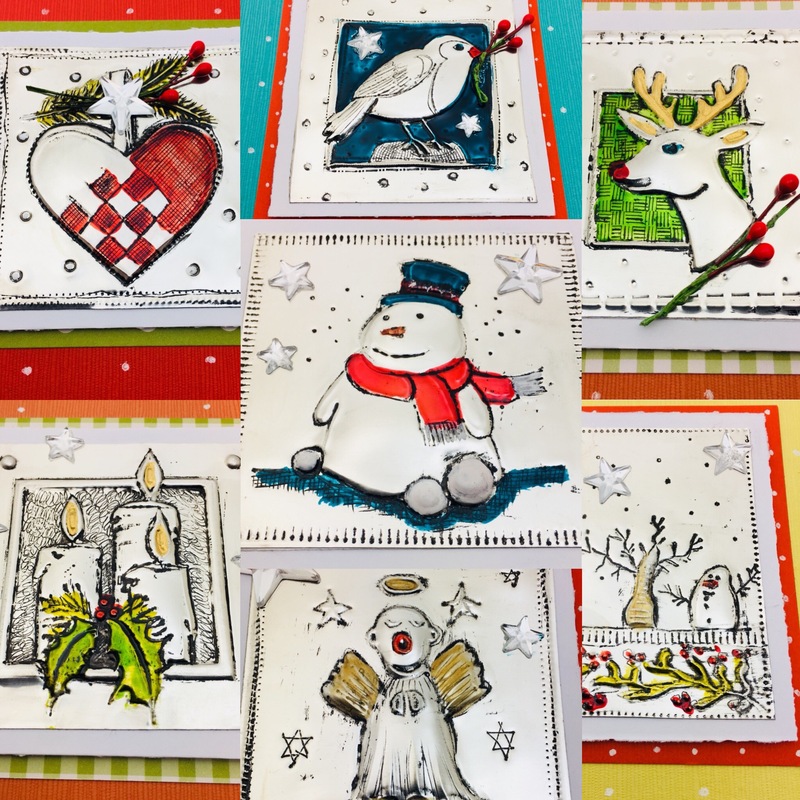 In this “purely pewter ” Christmas Card class we will focus on pewter sheet embossing tooling skills, various coloring options with Vitrail glass paints or alcohol inks and simple card assembly using the exquisite square Japanese linen cards. You will be provided with all supplies to complete 8 cards and the use of all class tools. Please Bring : Your Lunch and Indoor shoes. I provide, Coffee, tea and snacks. Full Payment on registration on Online Store, www.pewterart.ca Cancellations will not be refunded but a credit applied to future workshops.